The start of the walk is on the Musqueam Reserve. The Musqueam band have been working to restore the last remaining wild spawning salmon creek in Vancouver. 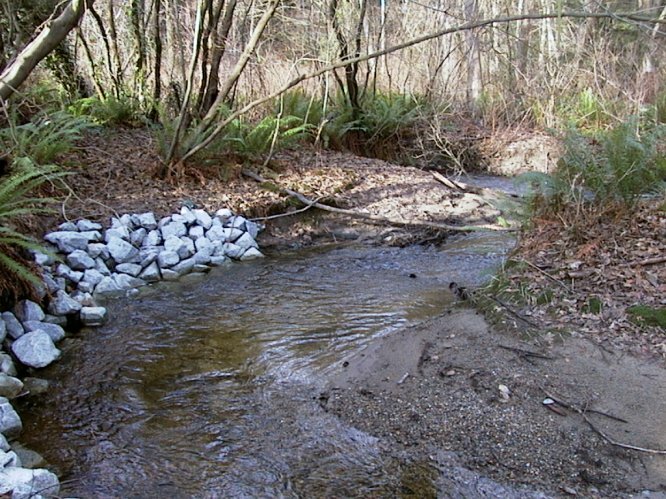 Restoring the creek is a challenge, as salmon returns have been as small as six Coho and six Chum salmon. Musqueam Creek is protected by the Fisheries department of the Government of Canada. The stream is often called the last Vancouver salmon stream. The creek is subject to all sorts of abuse. Bikers, walkers, and dogs sometimes wander through the stream, destroying habitat, incubating eggs, or disturbing salmon fry. Street rain water sewers drain into the creek. This can both flood the creek and bring along whatever underiable things are washed off the nearby Vancouver streets. 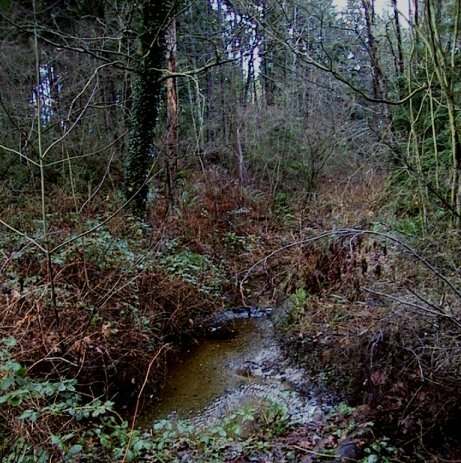 The stream is located in typical West coast rain forest. At the start of the 20th century, much of this area was logged. By 1919, the area was being developed into single family homes. At the time, the area was part of Point Grey, a separate municipality from Vancouver. In 1929, Point Grey amalgamated with Vancouver, making this area part of Vancouver ever since. The entire Dunbar and Southlands area is now developed. Southlands remains one of the last country areas within a major city in Canada. We hope that the Musqueam Stream recovers and provides a natural habitat for wild salmon to spawn.